Take as many eggs as you want to use from the carton. You don’t want to waste any delicious egg protein and nutrient rich goodness in the yolk so do the following over a bowl. Put the needle/pin at the top of the egg and tap it gently with the spoon. 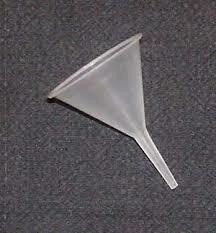 Do the same on the bottom of the egg but make the hole big enough that the funnel tip can fit. 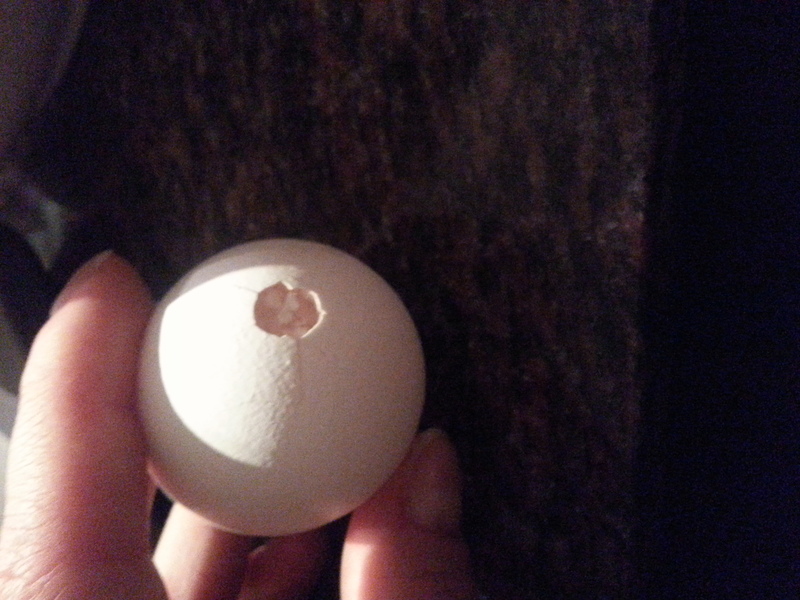 Put your mouth over the first hole and lightly blow the egg out of the shell through the other hole into the bowl. Rinse the egg out with running water. Paint your egg shells as desired and let dry. 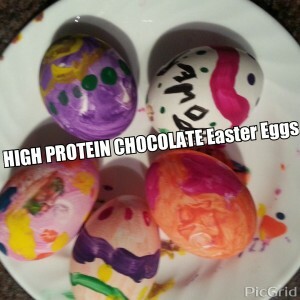 Depending on the number of decorated high protein chocolate Easter eggs you want to make, melt your chocolate and put in 1-2 scoops of your fave protein powder. Mix well and if it is a bit too thick to pour, add some water. It should still be fairly thick but you don’t want it too “liquid-ish” or it will pass right through the egg shells. Put the funnel tip into the hole and hold with your other finger on the small hole OR even tape it gently so nothing comes out. Pour your chocolate protein mix into the egg. 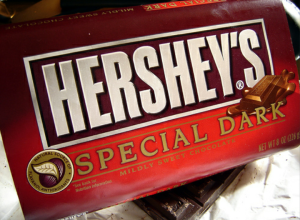 Put on a plate or in a bowl and immediately put it in the fridge to sit and harden back up. We left it for the day but I don’t think it should take even more than 30-45 minutes to be honest.